In May of 2016, myself along with 11 other students and our professor from Mount Royal University set out for a month long field school in Norway. Nearing the end of my Bachelor's Degree in Eco-tourism and Outdoor Leadership, it was an incredibly meaningful, wild and adventurous way to finish off. 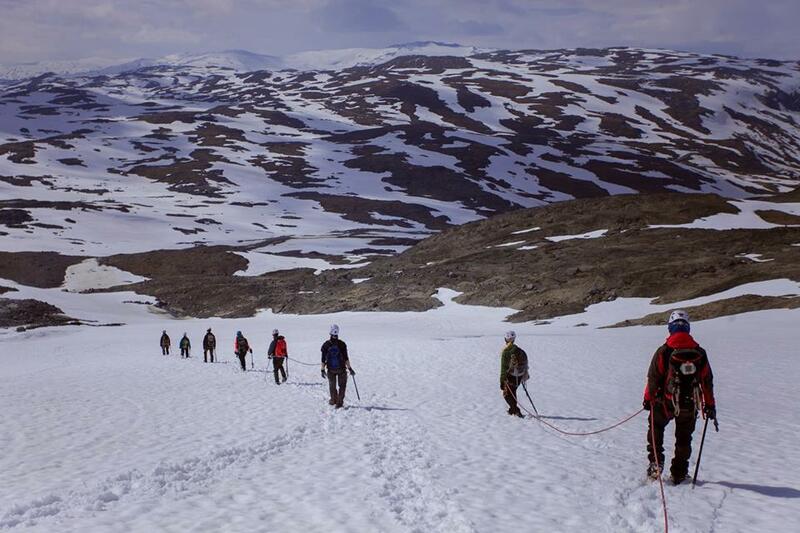 It also gave the group the opportunity to truly discover and experience the meaning of Friluftsliv. 'Friluftsliv' is a deeply-rooted Nordic philosophy of outdoor life. Ingrained into many Scandinavians lifestyles, this ancient philosophy embodies the idea that returning to nature, is returning home. With the push for environmental education, exploration of wild places and being in nature, Friluftsliv aims to create a sense of deep connectedness with the natural world. Our first portion of the trip was meeting together in Oslo to tour around the capital. We spent a couple days checking out some of the sights, museums and resturants before getting on a bus to Elverum. Once we reached Elverum we met with another outdoor university class from Hedmark University. In the span of a couple days, we had already cultivated incredible friendships. It was a great experience to do home stays with the students, and go climbing, camping and canoeing all together. It was amazing to notice some differences between our cultures, but ultimately understand how similar we all were. After spending sometime with the Hedmark students in Elverum, the Canadian students along with Thomas and Henning from Norway piled in a 17 passenger van to begin a two week road trip to further explore Norway. We stopped in Lilihammer, spent a night at Jon's (the Norwegian Friluftsliv professor) cabin and went climbing, hiking and even camped under Europe's highest rock wall, the "Troll Wall" in Romsdal Valley. We then continued on in Jotunheimen National Park to reach Krossbu Lodge. Our time at Krossbu Lodge one definitely a highlight of the entire trip. 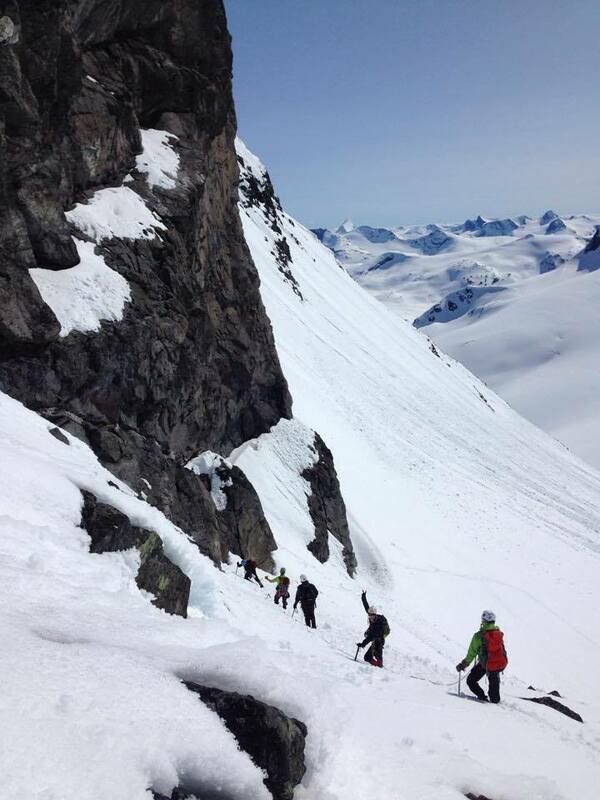 We spent five days taking a glacier travel and crevasse rescue course. We spent our days skiing, setting snow and ice anchors, repelling down crevasses to practice mock rescue scenarios, and one of the best parts... ski mountaineering to the summit of Storebjørn. By the end of the five days I definitely felt a bit of resistance to leave such an incredible place. Once we left the lodge, cramming ourselves and all of our gear into the van, we ventured out west to explore further. The next week included hiking along the coast, going to the Gamalost 'Norwegian old cheese' Festival, touring stave churches, cruising through famous fjords, taking the Flam Railway up mountain passes and mountain biking down, and even dog 'carting'. The week was chalked full of amazing places to discover along the way back to Elverum. We ended our road trip back there to reconnect with the Hedmark students all together one last time, finish up loose ends on our ecotourism research projects and ultimately to give so much appreciation to the Norwegians for all they had done for us over the course of our field school. It was bitter sweet to end the journey in the beginning on June, but I felt fortunate to spend two more weeks with one of my dearest friends, Lise. We met two summers previous when I helped assist a three week tour for her Norwegian students on a trip to Western Canada. Connecting with her again felt like we were never apart. After spending a few days at her cabin with her, Martin and their dog, Auroa, I had the opportunity to help assist her on another trip for the international Friluftsliv Hedmark students on a three day trip. This gave me the chance to head back to Krossbu, but this time to help instruct and guide the students on the glaciers and to the summit of Norway's highest peak, Galdhøpiggen. With this short trip finished it was time for me to leave Norway and move on to my next adventure, hiking solo across Iceland. I am so internally grateful to the incredible people and the connections that were made on this trip. I was continually in awe of the wonderful people and places we encountered along the entire journey. You can read about my solo trek here.